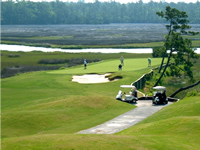 Shallotte NC is located around a 40 minute drive between Myrtle Beach, SC and Wilmington, NC. Shallotte NC is only 10 minutes from Holden Beach, Sunset Beach and Ocean Isle Beach. A true “hub” of southern Brunswick County. Looking for a Shallotte NC Home? Due to Shallotte NC centralized location it has become a large draw for real estate. Shallotte NC real estate is also in high demand because it is convenient to the Brunswick County Beach Communities, dining, shopping and entertainment. There are some great values when it comes to Shallotte NC Real Estate. If you are looking for a home that has access to the resources or a large city but keeps that slow, southern home, then a Shallotte NC Home may be just for you.